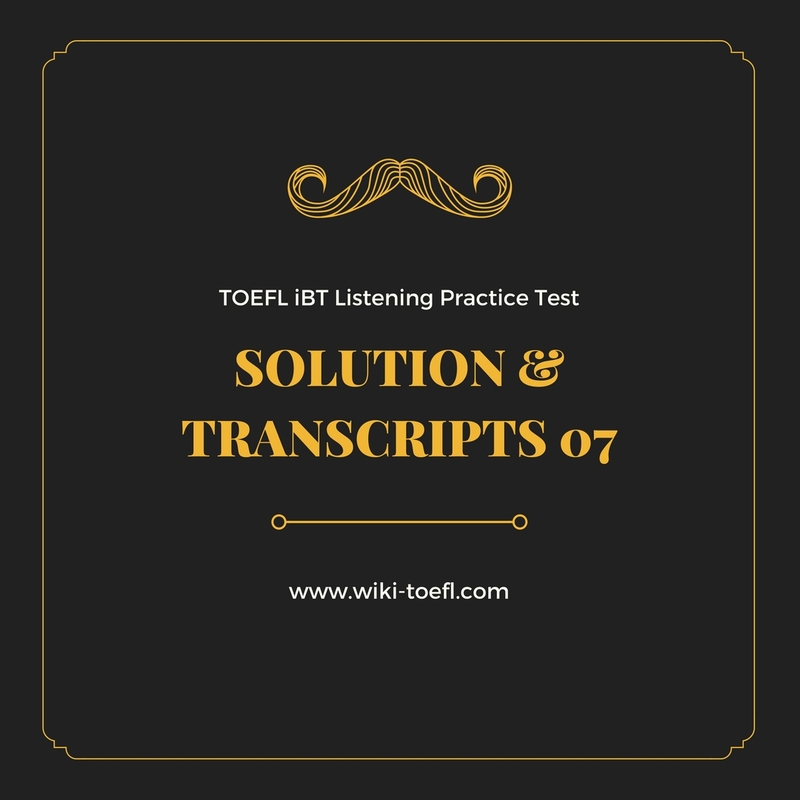 TOEFL IBT Listening Practice Test 07 from Barron’s TOEFL iBT Solution & Transcripts Listening 1 "Professor's Office" 1. D 2. B 3. A 4. B 5. B Listening 2 "Art Class"